Denver Carpet and Hardwood are your Littleton, CO flooring experts. Regardless of the flooring options you are looking for, our professionals are ready to listen and help assist you in the process of making the best choice. We have a huge inventory of laminate, hardwood and carpet selections, plus we carry some of the largest brands in the business. We house a variety of tile options. From slate to glass tile, we’ve got you covered. We’ll even come out to you so that all you have to do is customize the shape and style that suits your preference. Here at Denver Carpet and Hardwood, we do not want you to have to do anything but be creative- we’ll handle the rest. We also have a large collection of hardwood flooring options for our Littleton, CO carpet and hardwood flooring customers to choose from. Our hardwood brands include lines such as Mullican and Homerwood. In addition, we offer traditional hardwoods such as oak, maple, cherry, and walnut and even carry more exotic species of wood such as Acacia, tiger, and olive wood. If you are looking for a flooring option that is also eco-friendly, our company carries bamboo and cork flooring. Bamboo flooring is sustainably harvested and our cork flooring option is a pliable alternative that requires minimum upkeep, making it a suitable alternative for those areas in your home or office that are frequented the most. Denver CArpet and Hardwood offers our Littleton, CO flooring customers a plethora of options for any type of flooring project- large or small. We carry laminate, vinyl, rubber flooring and much more! 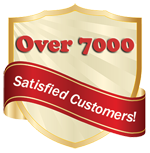 Here at Denver Carpet and Hardwood, our customer service and flooring selections are bar none. We offer competitive quotes in addition to providing a personal touch that is difficult to find with our competitors. We house brands and styles that can be customized to fit your style and budget. We are experts that can create the look and feel that our Littleton, CO flooring customers have always wanted.